One of the world´s most successful poker players – Phil Hellmuth – has predicted that federal legislation for online poker in the US will fail to be passed in 2012 and that “the Feds” have missed an opportunity to generate billions of dollars in tax income. Speaking in an interview with Tatjana “Tatty Tats” Pasalic for the Calvin Ayre web site, Hellmuth also had things to say about Poker Room sponsorship and the Full Tilt Poker saga. 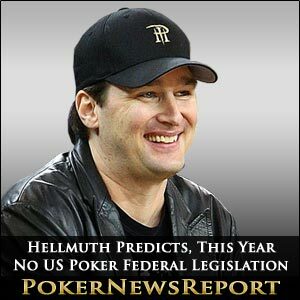 Having originally predicted that online poker in the US would be legalised before Christmas 2011, Hellmuth had revised his forecast to January, February and then March. 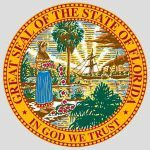 Hellmuth fears that poker legislation in the States will not be passed now in 2012 because the elections will take priority, and worries that the individual states of America will steer legislation away from federal control, leading to a situation similar as in Europe where players from certain countries are isolated from playing online against players from another country due to national legislation. Back in the days when Hellmuth was a Poker Brat (now he is more of a lovable rogue and far too old to be a “brat”), Hellmuth was the headline face on UB/Ultimate Bet. He had the good sense to jump ship on that sponsorship deal and, although now wearing the jacket of the Aria Poker Rooms in Las Vegas, never got involved with any of the sponsorship deals that were rumoured with Zynga, PokerStars, Bodog Poker and Full Tilt. 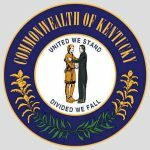 In the interview he admitted that it was now a possibility that he could be starting his own site, when legislation allows, as he feels that is where the money is going to be. Hellmuth cleverly side-stepped Tatjana Pasalic´s question asking for his views on the Full Tilt Poker situation. 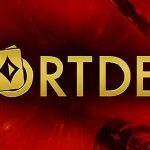 He said that at no time before or after Black Friday did he believe that Full Tilt Poker was a Ponzi scheme, but confessed that he had kept quiet on the whole affair because every time he said something in defence of somebody who [rightfully] should be defended he was attacked for it. 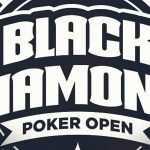 It was better, according to Hellmuth, to seek comments about Full Tilt Poker from the likes of Doyle Brunson and Daniel Negreanu. Hellmuth concluded the interview by stating that “I am ready to show the world what I am capable of”. He provided a list of why he was happier, more relaxed and confident than he had been in the past. He said that his more chilled moods were producing better results on the tables (Hellmuth took down the 8 Game Mix Championship at the LA Poker Classic earlier this month) and despite a fantastic record of poker achievements stretching back to his first WSOP bracelet win in 1989, he felt that he could do much better. The world has been warned!